Signup here to become an Atlanta Poker Club member and start playing poker with the best free poker league in Georgia. It’s completely free! Great Prizes Every Day and All Year Long! 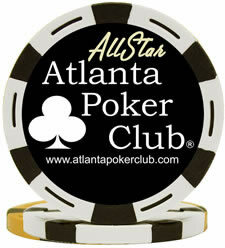 New players welcome to join the Atlanta Poker Club and play at any time! What Is The Atlanta Poker Club? The Atlanta Poker Club plays free Texas Hold’em tournaments and cash game simulations at sports bars, restaurants and pubs across metro Atlanta and surrounding areas. We provide a fun, fair and rewarding poker experience that you will definitely enjoy. APC poker games are organized, well structured and ran by a talented and trained tournament director. Known as the most competitive poker league in the state; winning an Atlanta Poker Club silver coin carries a high level of prestige. As a member you can compete for your chance to win awesome prizes! We believe in having fun and playing good poker at the same time. You are invited to come out and get lucky with the Atlanta Poker Club! Win great prizes, make some friends, hone your poker skills and most of all HAVE FUN! 1. Great Poker & Great Friends – many people agree that they have met some of their best friends (and even their spouses) through their involvement with the APC. 2. Awesome Prizes, $$ Thousands Every Month Up For Grabs – Club members compete each and every month in a slew of different special events and points races. Compete and win some incredible prizes like World Series of Poker Seats in Las Vegas! 3. The Coveted “Silver Coin Awards” – points champions earn a customized silver card guard engraved with their name and accomplishment. If you have one of the custom APC card guards, you have earned your place in the APC history books. Please note this is not a coin in the legal sense meaning it is not legal tender of any fashion, legally it is an engraved APC card guard (that happens to look like a coin). 4. 100% All Clay Chips, High Quality Tables & Copag Cards – play on quality equipment with our custom speed-cloth tables and casino quality Copag playing cards. And you’ll love the feel of the 100% clay poker chips as you rake in a huge pot! 5. WSOP & WPT Seats – did we mention the awesome prizes like seats in the World Series of Poker and World Poker Tour? It’s true, you could win a seat in one of these tournaments by playing poker with the APC. Win a seat with us, win the WSOP tournament and and change your life (or at least get some really cool toys)! 6. Fair and Organized Tournaments – a friendly and well trained staff makes sure each event runs smoothly, fairly and with integrity. Dedicated organizers make sure league points are updated immediately and prizes awarded in a timely fashion. 7. Tournament Structure Lets You Play Poker – it’s not bingo bar poker like you’ll find elsewhere. You get enough chips to play with so you can enjoy an evening of real poker and not have to worry about being pot committed after one raise, ten minutes in. 8. Cheaper Than The Movies – plus you’ll get dinner and a few drinks for that! Considering movie tickets are $10, a small popcorn costs $4-$5 and another $5 for a Coke, it’s way less expensive to spend an evening playing poker with friends. You don’t have to worry about screaming kids or annoying teens, plus you are competing for awesome prizes with other great poker players from Atlanta. 9. Join an Active & Entertaining Forum – visit the Atlanta Poker Club Forum and get to know your fellow APC’ers (ok, really just keep up with the latest gossip and news) but none the less you can play free casino games for fun and interact with other APC’ers in the forum. 10. See Your Name In Lights – show off your poker skills by leading the Atlanta Poker Club Leaderboard and winning the most competitive and lucrative points prize all season. We want you to have fun when you come out and play poker with the APC! We work hard to make our poker games as enjoyable and rewarding as possible. To start with, you get plenty of chips to play with and a blind structure designed to give you time to play. Next we use high quality equipment from the clay chips to the speed cloth style tables. APC events are organized and operated by a well trained Tournament Director who is there to run the event from start to finish and there is a dedicated full time dealer who shuffles and deals the entire game at your table. So all you have to do is play your cards and have fun! Competing in the LeagueCompetition is one of the APC’s driving factors and we challenge our players via a series of special events and points races that happen each month, season and year. Our league structure is designed to appeal to and reward players of different commitment levels. Regardless of whether your play a little or a lot there is something you can compete for within the APC. The league also creates a history of your results with our lifetime leaderboard that tracks your progress throughout your APC career. Registered league members win points in our regular events when they finish in the top half of the field up to 20 players. The amount of points varies based on how many players are in the event. The more players in the event, the more points for winning that event. There are tons of different prizes that APC members compete for. 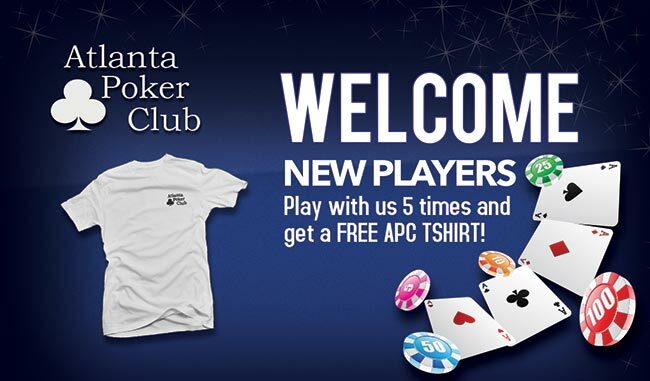 From World Series of Poker seats to t-shirts and hoodies, there is something for everyone to win with the Atlanta Poker Club! Poker is a social activity like no other. It brings people of all kinds together at the table. Come out and meet some really great people at an APC tournament. There are countless friendships that have formed between people who met playing poker with the APC. The Prestige Winning a seasonal points race or special events is the goal of virtually every player in the APC. This is because that is how you win an APC Silver Coin. These coins are markers of accomplishment and are only given to the winners of our seasonal or yearly points races and special events. These engraved coins are highly contested and highly fought for each season and winning one is highly prestigious. 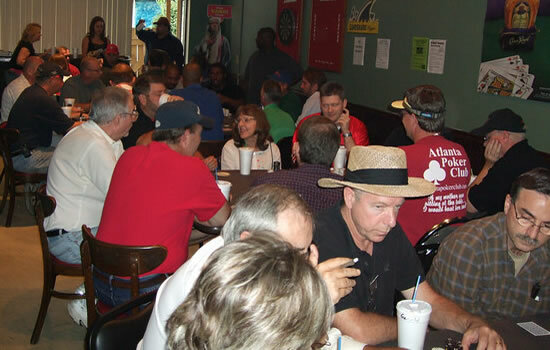 The Atlanta Poker Club itself is well known as the most competitive poker league in the state. APC players have a ton of fun AND they take the game of poker seriously, making for a very rewarding poker experience. Hone Your Poker Skills Ask any poker player and they will tell you that there is no better poker training than getting table experience. 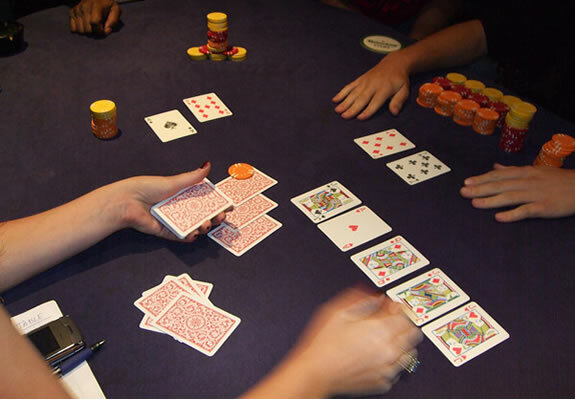 Our tournaments are well structured and very similar to events you will find at the major poker tournaments meaning that many players use the Atlanta Poker Club as their training ground for the casino tournaments. If you are looking to improve your game then playing in the APC will absolutely help you do so. You will get to compete against quality competition risk free and see if you have what it takes to win an APC silver coin. MembershipsWe have two membership levels available with the Atlanta Poker Club. Even though our events are 100% free to play in, they are modeled after the professional casino style tournaments, where Tournament Directors, full-time dealers, high quality speed cloth style poker tables, clay poker chips and the strongest field of poker players make the APC more than just your typical bar poker. We are not your typical bar poker games where it is pass the deal, crazy playing no one really cares how they do bingo style poker you may have experienced at a typical bar poker tournament. The APC is known as the home of the best poker players in Georgia because our league is competitive, our structures are generous and our rankings system is the top of the field. If you are looking for a league that takes the game seriously (but still has a ton of fun!) then you should join the APC. Qualify equipment you can feel from our speed cloth style poker tables to the 100% clay poker chips, the APC offers high quality equipment where it counts. There is always something to compete for in the Atlanta Poker Club, even for new players! The APC points and prize structure encourages players to take each game seriously and to play “real poker”. Join the APC at any time and there will be something you can compete for. Our monthly events and points races reset each month so even if you are new, at the beginning of the month you are equal footing with the rest of the players for our monthly special events. Starting fresh on the 1st of every month, the APC begins a month long sprint to win points and land in the top 60 in overall points at months end. It’s an all out race to qualify for the APC monthly points race tournament, where you can win your share of the $500 prize pool $777 prize pool. (This prize pool grows as the APC grows!). See the entire APC League Structure for full details..
New Players & Players of ALL Skill Levels Are Welcome! Come on out and test your Texas Holdem Poker skills tonight in one of our organized and entertaining poker tournaments at a location near you.Here is this weeks calendar of events. p.s. Just so we’re clear, NO illegal gambling allowed, ever! So what are you waiting for? Join the APC today by entering your name and email address into the field from the APC home page and we will print and mail your APC players card and a bonus chip coupon for your next event! We will see you at the tables!